Are you trying to find a gift for a girl and finding it hard? Do you feel overwhelmed by the number of gifts available and are worried you won’t pick the right one? Let’s put you out of your misery with our guide to the best gifts for 9-year-old girls. Girls at this age aren’t impossible to buy for. You just need to keep their interests in mind and think about what makes them happy. Putting a smile on their face will be your reward for choosing the right gift. Let’s look at what you need to consider when choosing a gift for a girl in this age group, plus our top 50 picks. Use the links above to check the latest prices or read our in-depth toy for 9 year old girl reviews below. It’s that awkward time in a girl’s development. They’re approaching puberty and going through a lot of changes. Things will begin to hold their attention for longer periods but their interests can change with the weather. They might be open to starting a new hobby or collection. Craft gifts are a good idea, to challenge their dexterity and creativity. Girls at this age will develop an interest in keeping schedules or recording their experiences in a journal or diary. They might also start reading independently and have a voracious appetite for new books. Physically, girls at this age might experience a growth spurt and may start to express more interest in sports. Gifts which will keep them active and get them outdoors can be a good choice. We all know no two kids are the same and their development can be ahead of or behind that of their peers. Challenge their inquisitive minds as they become more independent, with educational and STEM gifts. They might learn and absorb more away from a classroom setting with something that’s also fun (source). Whatever gift you choose, make sure it’s age-appropriate and fits in with family values. You aren’t going to want to buy video games if you’re trying to discourage screen time, for example. Time to see what our top 50 choices of the best gifts for 9-year-old girls are. To make life easier for you, we’ve broken these into sections. Each one will cover a category of gifts ideal for this age group. Arts and crafts are great for 9-year-old-girls. They’re at an age when they can begin to complete projects on their own, or with a little help from mom or dad. This helps build their confidence and gives an outlet for their creativity. 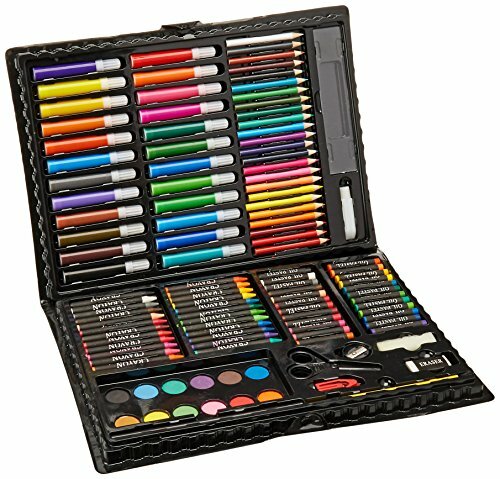 This quality 120-piece art kit has all the supplies a 9-year-old will need to explore her artistic side. Whether it’s simply drawing or sketching, painting, decorating items or working on a homework project. The plastic snap-close case keeps everything in one place, so you know where it is when you need it. No more searching through drawers for a pencil or scissors. This might be one you remember from your own childhood, and it’s still popular today. The unique designs that can be created will be a delight for girls of this age. They can mix and match colors and different wheels for hours of artistic fun. 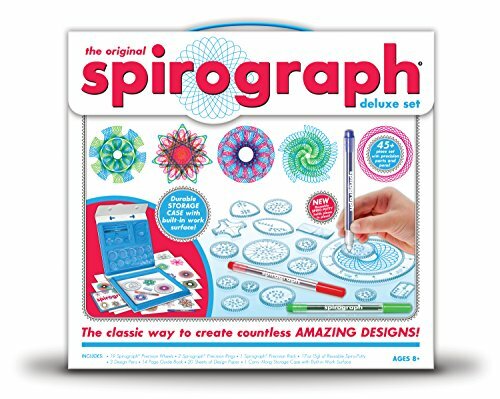 This set uses interlocking wheels and gears which help create spiraled designs. It comes complete with all you need, including design paper and a full instruction guide. Who doesn’t like a fridge magnet? 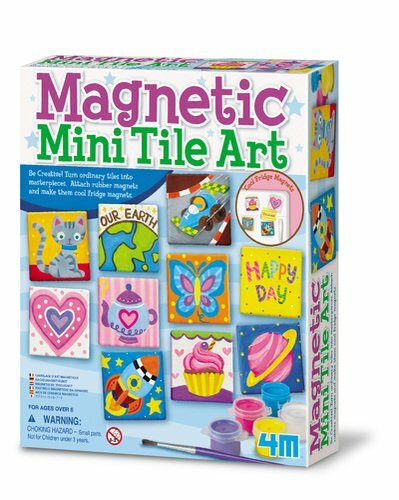 This set supplies everything a girl needs to decorate 2-inch square tiles and pop a magnet on the back. Decorate any metal surface with their completed works of art, like a locker door or the fridge. You could keep them for yourself or give them to family and friends as gifts. BFFs are a big thing for a 9-year-old girl. They’re the center of their world and do most everything together. 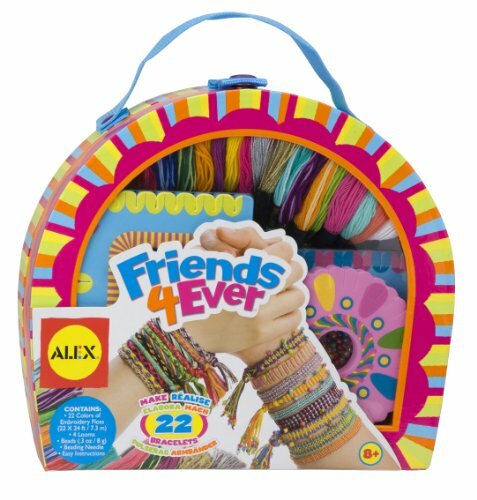 This kit has two wheels and two looms to create unique and customized friendship bracelets, with enough supplies for 22 bracelets. The instructions are easy to follow and there are links to online videos as well. Weave in hearts, diamonds, flowers, and hearts for your friends. 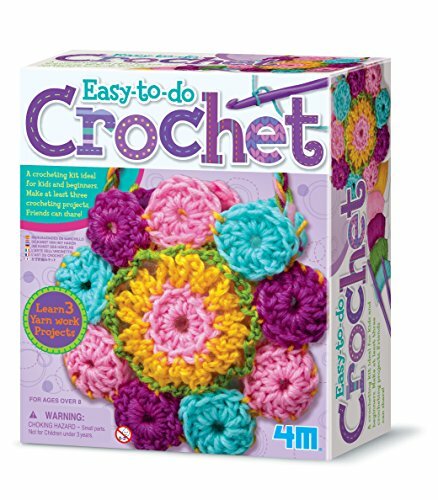 Introduce your 9-year-old girl to the world of crocheting with this kit from 4M. It contains instructions for projects including a coaster, belt or handbag. The crochet hooks and yarns to complete three projects are also all provided. Once your child learns the basics, she’ll be creating her own designs before you know it. Sewing is a skill that can come in handy at any time, even if it’s just replacing a button that’s fallen off a garment. Getting to grips with the basics is a good idea and this kit’s a great way to learn. 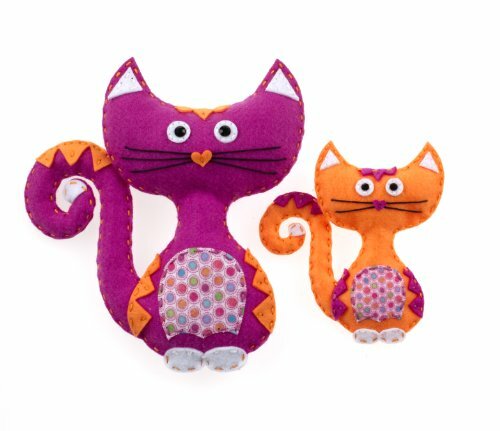 It has the materials to stitch and stuff two cute cats, along with easy-to-follow instructions. While your 9-year-old might need some help along the way, it’s a good excuse to spend some quality time with her. 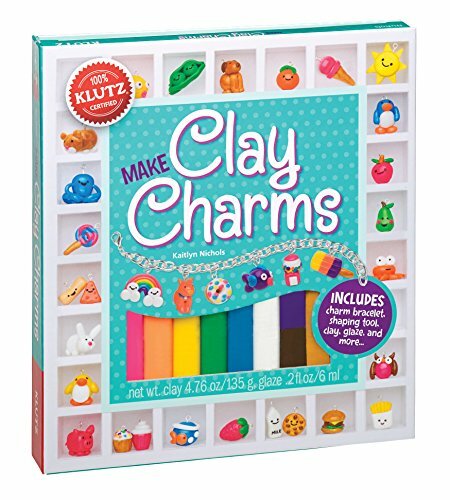 Make a bracelet or decorate clothes and other jewelry with these cute clay charms. Simply roll and shape them, bake them, and then decorate them. Clear instructions are included, to create different fruits, animals, sweets, sea creatures, monsters, and more. There are also troubleshooting tips included for common mistakes, to help you get a perfect charm every time. Sometimes, getting kids outdoors and taking part in active pastimes can be hard going. Getting them away from screens, whether it’s Snapchat, videogames or television, can be easier with a gift geared for outdoor fun. It could be games, scooters, skateboards or even a simple ball game. Maybe your 9-year-old is a basketball fan and loves shooting some hoops. 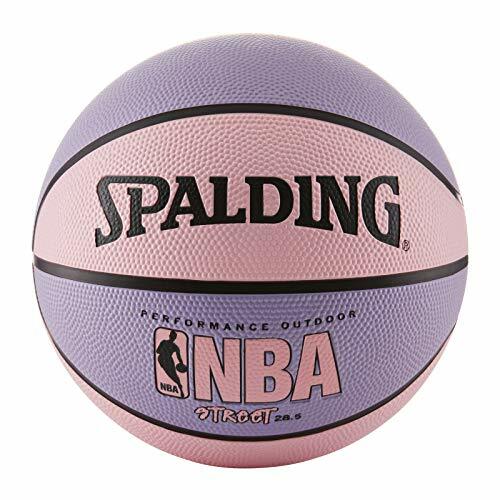 It’s a great way to get active, so why not encourage that with this pink and purple basketball from Spalding. It’s the same size as balls used by the WNBA, making it ideal for young girls. 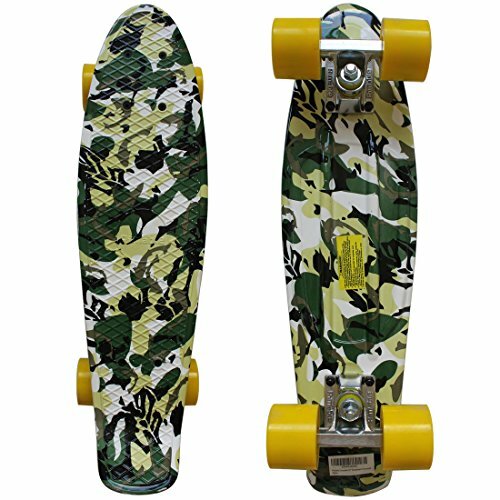 This skateboard comes in a wide variety of colors and patterns, 28 in total. There are block colors and pretty flowers or psychedelic patterns. Apart from looking cool, it also rides well with a 22-inch by 6-inch deck, 3-inch thick high-quality aluminum trucks, and polyurethane wheels. Your girls will be knocking spots off the others in the skate park — just don’t forget the helmet and pads. Skating is great fun, and good exercise as well. 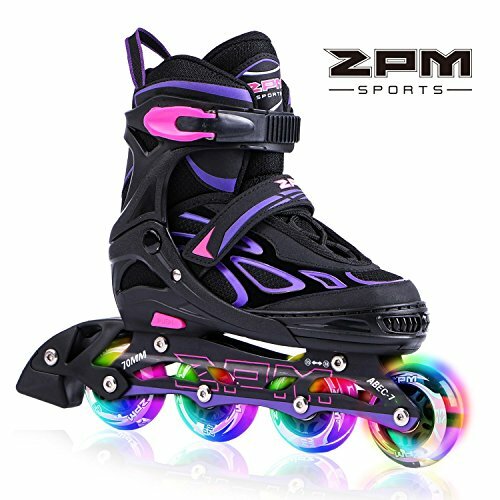 These inline skates have bright pink and purple accents, and they’re soft and comfortable. They’re supportive, too, with an ankle strap, buckle, and laces. What I also like is that these have light-up wheels, so your child will be seen easily in poor light. It also means they’ll appeal to her more as she whizzes along. For safety purposes, the brand also sells a gear set, with knee and elbow pads, plus wrist guards. Nerf battles are not just for boys. Let your girls channel their inner Lara Croft with this nerf gun, and show the others how it’s done. 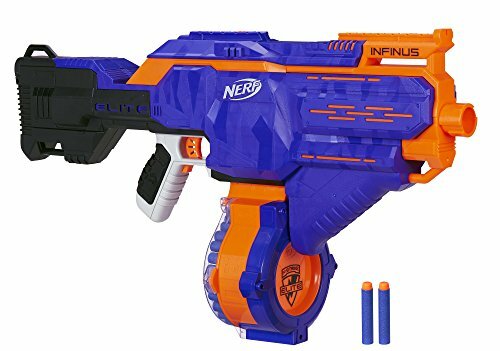 It comes with 30 foam nerf darts and you don’t have to stop firing to reload it. The gun is fully motorized, but requires four D batteries (not included). Why not get a hoop to go with the basketball we featured earlier? This one is adjustable from 7.5 to 10 feet in 6-inch increments, so will grow with your girl. All weather resistant, it also has a 5-year warranty. Get out with your girl and shoot some hoops. It’s a great way for mom or dad to spend some active time with their daughter. 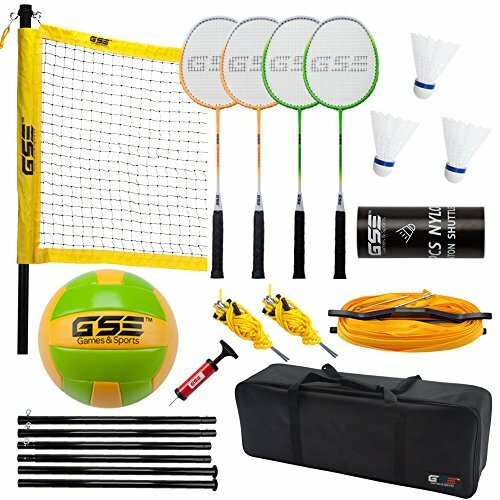 This set is great, it has complete components for two fabulous outdoor games, volleyball and badminton. It stores away in a compact bag so it’s great for days at the beach, the park, or when camping. Set up some tournaments for friends or family and have some outdoor fun. It’s great that this kit includes everything right down to the pump for the volleyball. What girl doesn’t want to be a superhero like Wonder Woman, or rebel like Katniss Everdeen? 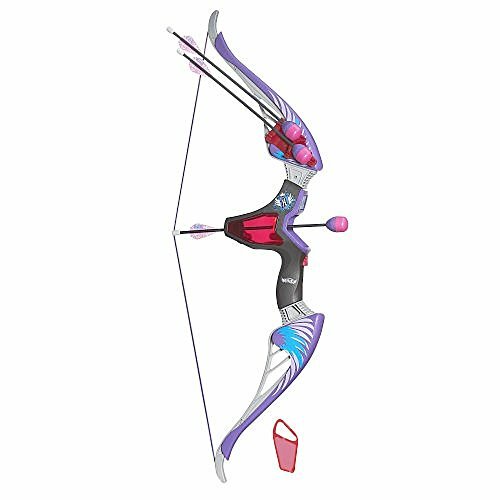 Fuel her imagination with this cool bow with nerf-dart arrows. She can hide secret messages in the darts and give her friends the decoder to read them. Both the decoder and quiver of arrows store on the bow, which has an electronic red sight dot to help you get a perfect shot. Toys and games are staple favorites with kids of all ages. There are some that have stood the test of time, albeit with a few tweaks. Then there are new ones which will enchant 9-year-old girls. 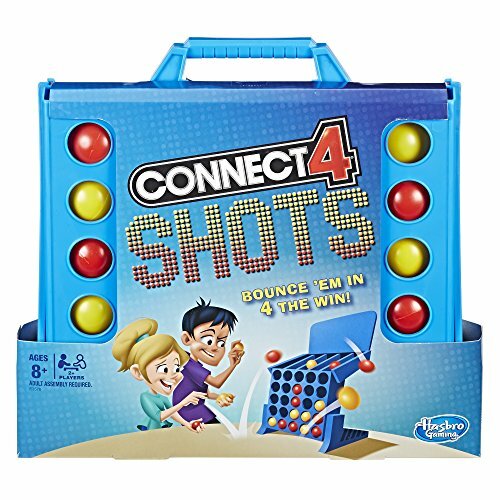 Do you remember Connect 4? This game has the same principles, line up four of the same color, but this time you bounce small balls into the grid. 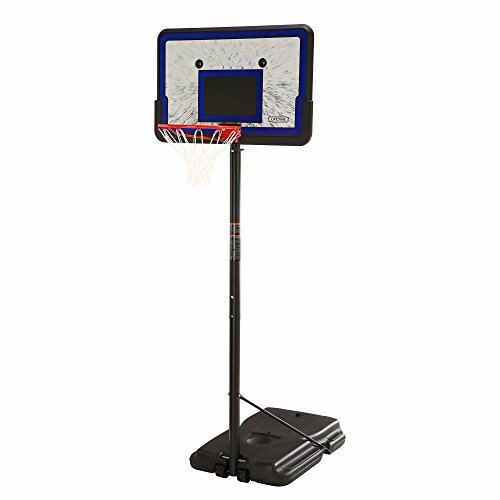 There’s a backboard you can bounce the shots off, to achieve your goal and win. I like that this gets kids moving indoors and that it can be played straight out of the box. It also folds compact when not in use. 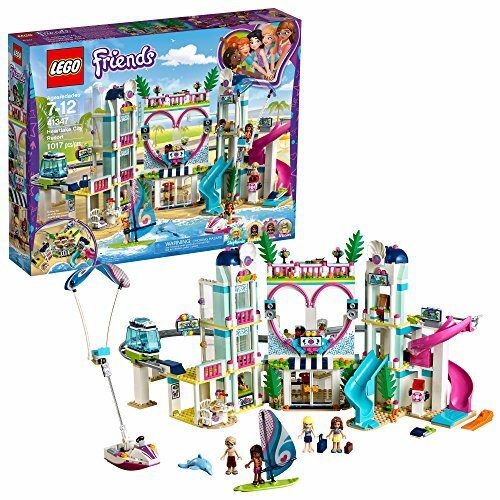 Lego sets are timeless and always appeal to kids, female or male, big or small. This City Resort has 1017 pieces, to build a hotel for the four included mini figures. There’s a monorail for them to explore, a waterpark, and a rooftop terrace. There are lots of accessories for imaginative play, including a windsurf board and a dolphin. The figures can also be disassembled, to change clothes and appearance. 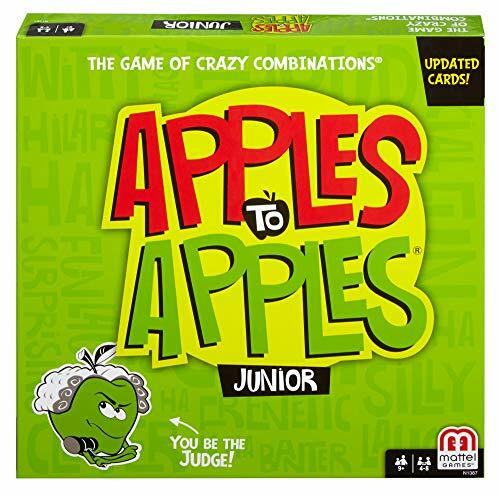 This junior version of the popular Apples to Apples card game is sure to be a hit. It will get kids talking and test their powers of persuasion that their card should win. It’s easy to play, just use a red apple card that you think best suits the judge’s green one. Then convince them, it could be “smelly flip-flops” or “crunchy monkeys.” Whether you play silly or sensible cards, this game will give hours of fun. This game is popular and easy to play. 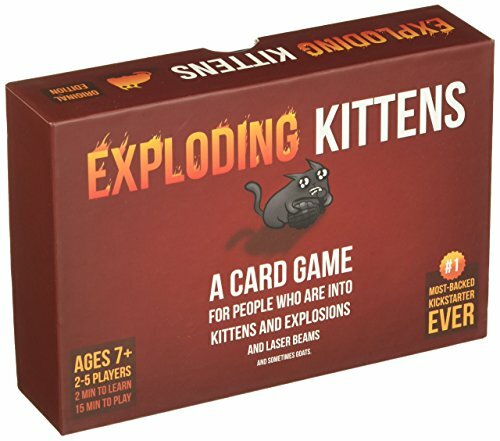 The object of the game is to avoid drawing the exploding kitten card from the pack. Don’t worry if you do, though, there are lots of cards that can divert or block an exploding kitten and keep you in the game. The illustrations on the cards are fun and the cards are good quality. Gaming is a favorite pastime for girls and boys. This handheld console is a good gift, with many game options, from Mario Brothers and Pokemon to Minecraft or Zelda. I like that this type of console doesn’t mean you lose your tablet, PC or television when your child wants to have some screen time. 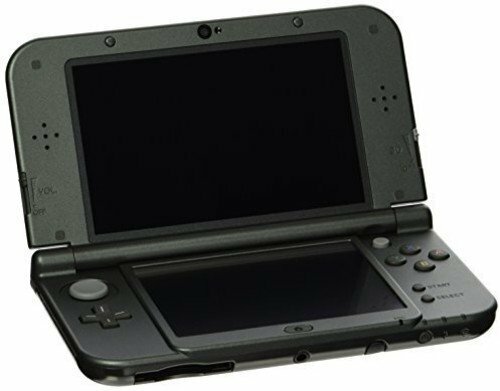 Compatible with Nintendo 3DS games. AC adapter not included. There’s always some craze that captures kids imaginations and Fingerlings are one. These cute little pets cling to your finger and need to be cared for. They will reward you with kisses, chatter to you in dragon language, and open and close their eyes. They also respond to your touch and voice. Kaylin is just one of a selection of dragons and other animals you can collect. Batteries are included. 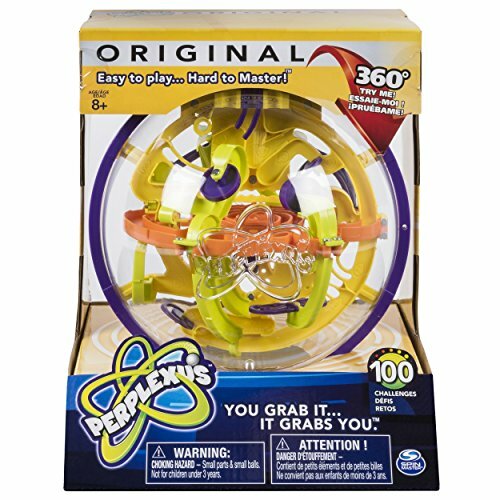 Does your 9-year-old girl have the ability to solve the Perplexus maze? This clear plastic sphere has 100 challenges to keep your child amused and engaged. Turn it through 360 degrees to get the silver ball along the course to the finish line. This intriguing maze is portable and keeps young minds engaged as they try and work out the puzzles. Girls, when they get to 9-years-old, will be starting to develop their own style. Jewelry and clothes will be welcome gifts. Jewelry is a great way for them to accessorize. Or look for comfy night clothes, fun sneakers or warm cozy boots. As your child starts to accumulate items of jewelry, what better gift than somewhere to keep it all safe. This lovely silver-colored jewelry box has a ballerina that pops up when it’s opened. Wind her up and she’ll dance to the music which plays. There are your standard storage compartments included for rings, earrings and more. 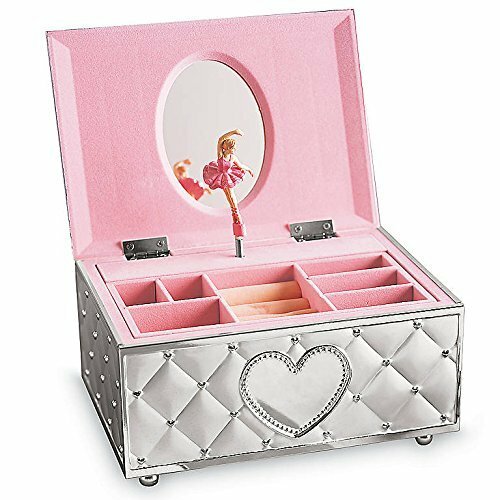 The tray is removable, revealing a hidden compartment, and a small mirror stands behind the ballerina. 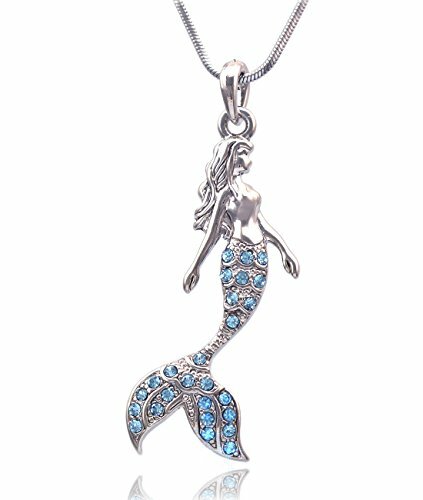 This stylish mermaid pendant comes in rhodium-plated metal with a choice of 10 different colored crystals. The snake chain has a 2-inch extender, enabling it to be worn long or short. Young girls love mermaids — get them a crystal encrusted tail in their favorite color for a sure-fire hit. Unicorns may be mythical, but not to a 9-year-old. 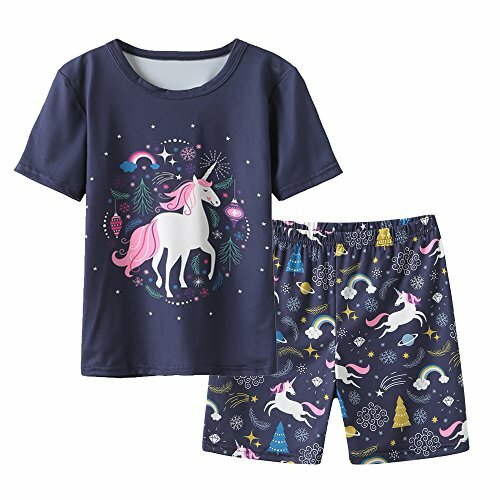 Girls love this creature wherever it appears, and this pajama set has them in spades. There’s a large one adorning the top and the shorts are covered in them. This gorgeous set is made from super soft polyester and is machine washable. Sheepskin and suede boots have become a fashion statement for girls and women of all ages. 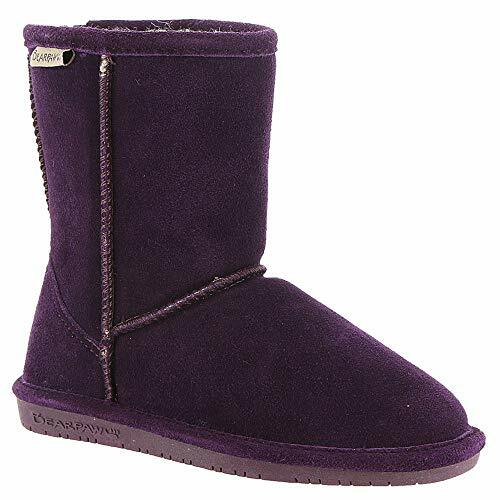 These from Bearpaw come in six different colors, and will be a cool addition to your 9-year-old’s wardrobe. They aren’t just for cold weather either. Pop them on with shorts during the summer and they’ll look super cute and oh-so-stylish. 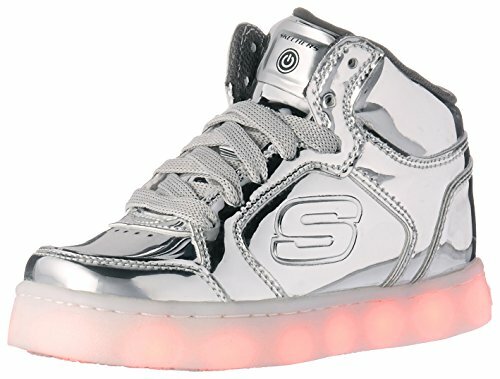 Light up your 9-year-old’s world, or her feet at least, with these sneakers from Skechers. The sole has built-in lights, with changeable sequences, which can be recharged via a USB and turned on and off using a switch in the tongue. The sneakers come in shiny silver, navy blue or royal blue. Buying clothes for a 9-year-old girl can be quite a challenge. 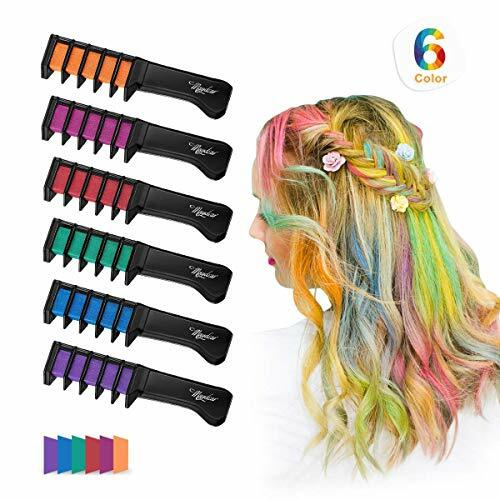 If you’re unsure what she might like you can always opt for something like these non-toxic hair chalks. That way she can pop some streaks in her hair to match her clothes. It won’t freak mom and dad out too much either, as they wash out. Give your girl the gift of time with this classic watch from Timex. The screen is made from scratch-resistant glass and there are 10 elastic material strap designs to choose from. It’s got a durable resin case and is resistant to water splashes or briefly being dipped in water. I like that this has an analog display and an easy-to-read dial. A night light feature is also included. In this day and age, you can’t escape technology and electronics. More and more products are headed that way. These are some of the best of these gadgets for 9-year-old girls. 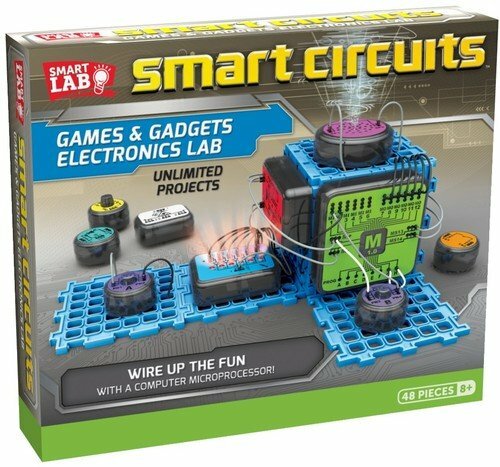 Get started on electronics with this easy to use snap-together circuit set. It includes a microprocessor, so your girl can build interactive games and wire up gadgets. She can create things like a DJ light show, electronic rooster or a magic message wand. 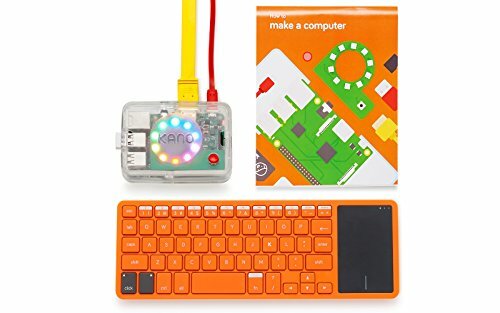 You’ll love the fact this set comes with all the parts needed and lets kids be creative with electronics. 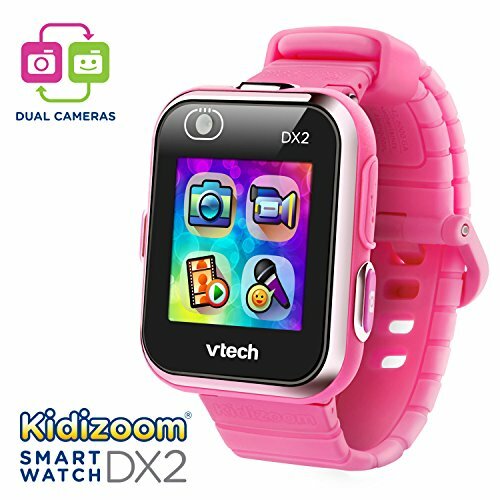 If you’re not quite ready to let your 9-year-old have a smartphone for selfies and gameplay, this watch from VTech could be a good alternative. It has two cameras to take pictures, videos, and selfies, which can be made into new watch faces or uploaded via a USB. There are 55 analog and digital faces to choose from. I like that it’s splashproof, has a monster catcher game included, and a motion sensor to count steps. It’s good to get girls on the move and also has parental controls for limiting game time. Back to old school with new technology, this camera from Fuji will print your photos out immediately. Girls will love creating collages for their bedroom wall, or taking pictures to gift to friends, decorated with the enclosed frames, string, and clips. It’s ready to go out of the box, with two instant film packs, enough for 40 photographs. It also has a case to keep it safe and carry it about. Oh, and we forgot to mention it’s a cool pink color. Other color options include a pretty blue or lime green, in case the girly pink is not your daughter’s thing. 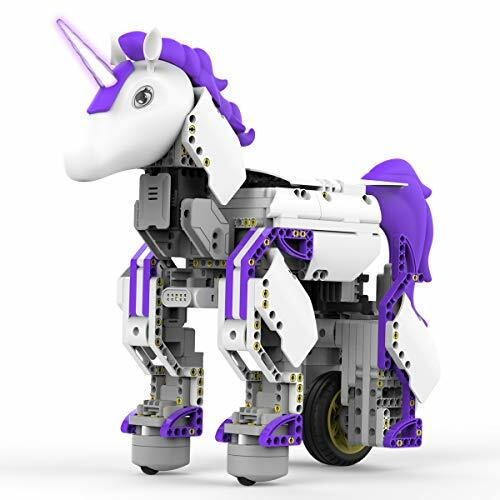 If you’re going to have a robotic friend, why not choose a unicorn? This snap-together creation has a magical horn which can be programmed via a free app for iOS or Android. Your girls will have their robot navigating obstacle courses, picking up objects, showing emotions with sound and light, and so much more. There are 440 snap-together parts, along with full instructions to build your unicorn. Is your 9-year-old-girl ready for her own tablet? This one from Amazon Kindle could be just the ticket. With a year’s subscription included to Amazon Freetime, she can listen to or read books, play games, watch her favorite programs, and more. 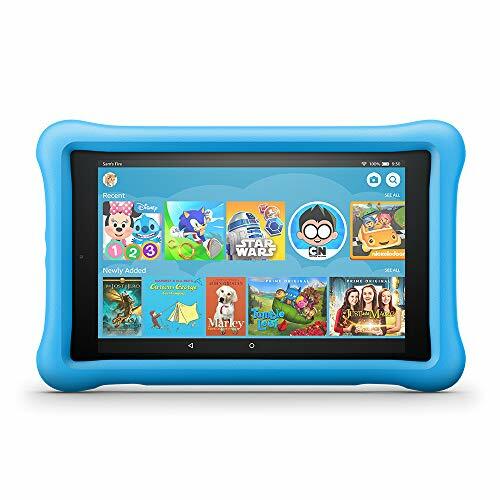 Great features include a strong case, parental controls, and a 2-year warranty. It has 32GB internal storage which can be extended to 400GB with a micro SD card. It also has a built-in speaker and microphone, dual-band Wi-Fi and lasts for up to 10 hours on a single charge. This fun robot can be used and controlled in many ways. Use the free app to control it with a slingshot, joystick, or facial recognition. 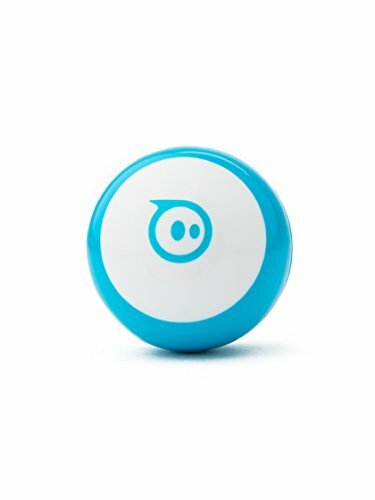 That’s right, smile, frown, move your head, and watch what Sphero does. There are different-colored skins available for this robot, so you can make it your own. Three games are included. Compatible with iOS or Android, the robot will last about an hour on a single charge. Do you find you don’t always want to listen to the music your kids are playing, or the sound effects of their video games? Restore the harmony to your household by getting your 9-year-old girl these kid-friendly Bluetooth headphones. 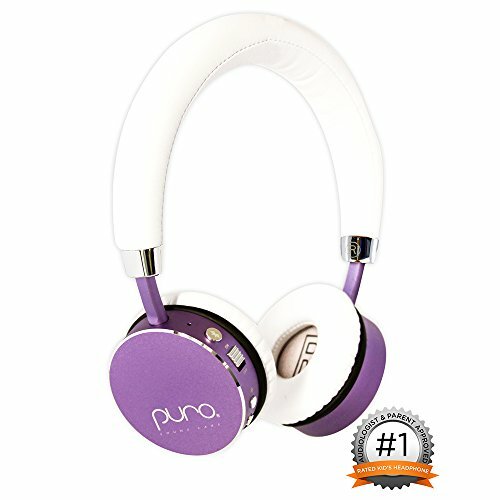 I like that these headphones are limited to 85 dB to protect young ears, have soft ear cups, and an adjustable headband. Learning doesn’t have to be a chore, there are many fun games and activities which help a 9-year-old’s development. You can choose from the fields of science, technology, engineering, and maths, to enhance their school curriculum. 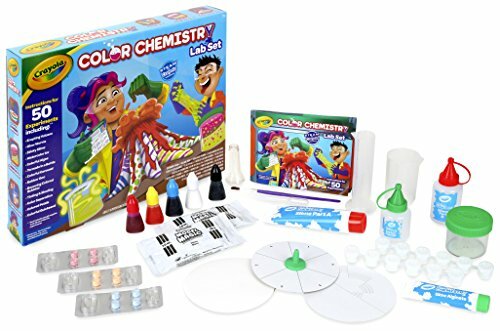 Create your own erupting volcano, glow worm, slime, and much more, with this color chemistry set. Everything you need for 16 different experiments is contained in the box. Some everyday household items will help you carry out 34 more science activities. While adult supervision is recommended, the instructions are easy to read and follow. “Cute” doesn’t do Cozmo justice — he’s one of the most animated robots I’ve seen. 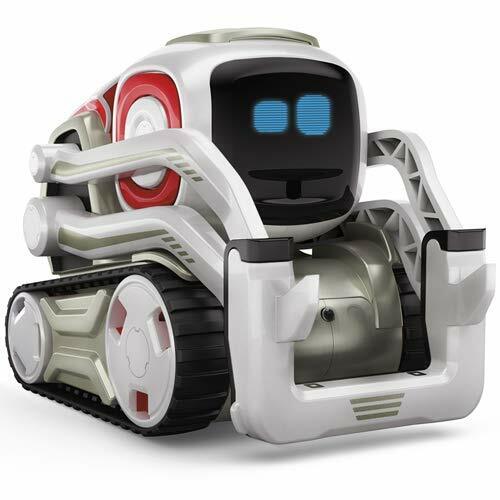 Code him to carry out many different tasks with the Cozmo app which is suitable for iOS or Android. Just watch out you don’t upset him when playing games with him, he might throw a tantrum. This robot is functional, educational, and lots of fun. Any 9-year-old girl will love this STEM gift, and so will mom and dad. Molecular science plays a role in this kit, and it’ll have your 9-year-old girl excited about growing crystals. 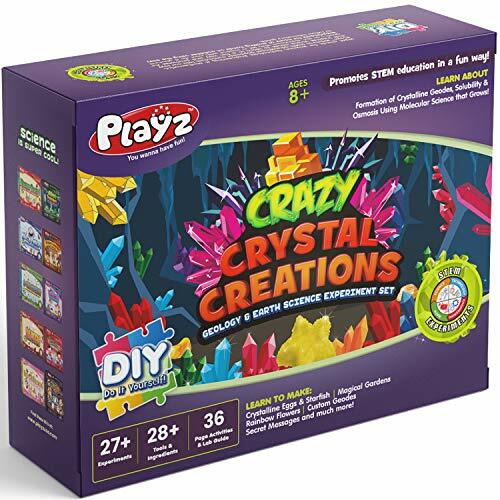 Girls love a bit of bling and this set has everything they need for over 27 experiments, to grow a number of different shapes and types of crystals. The easy-to-read instruction leaflet takes you through each step, making this an engaging and fun science experiment. Get your 9-year-old in touch with nature and give her some responsibility, raising her own caterpillars into butterflies. She can nurture and feed them, before finally releasing them into the wild. While she might be sad to see them go, it will be a good learning experience. I also like that this will teach kids a lesson in patience, as it takes about three weeks for the entire transformation. 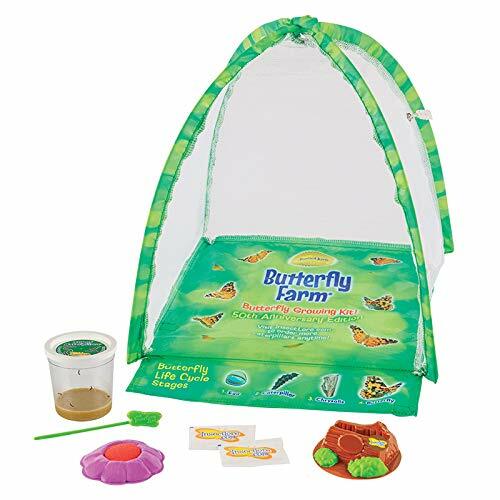 Included in this kit are essential instructions, a mesh habitat bag, a feeding tool, and five baby caterpillars to get started. 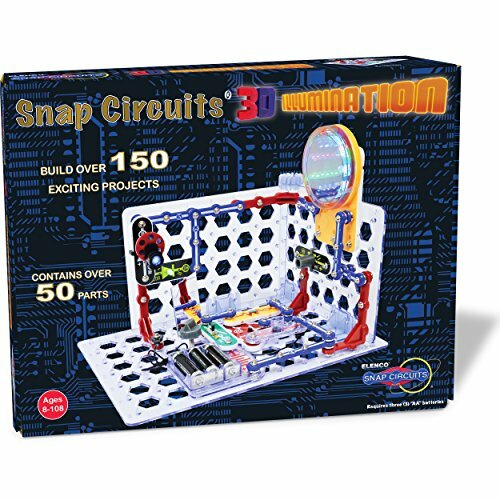 Snap circuits have gone into 3D with this easy-to-use introduction to electronics and engineering. There are over 150 simple projects, which let your girl create a wall light show, a projector, a light tunnel, and more. Don’t worry, there’s no need for a soldering iron, and everything you need is in the box. It’s also compatible with other snap circuit sets. An illustrated instruction manual is included for anyone unfamiliar with snap circuits. Build your very own computer with the components in this kit, attach it to any HDMI screen, and learn how to code, from over 100 challenges. The fun doesn’t stop there either, you can make art and music as well as do many other things. It’s great that the challenges give kids rewards as they progress, unlocking more creations. 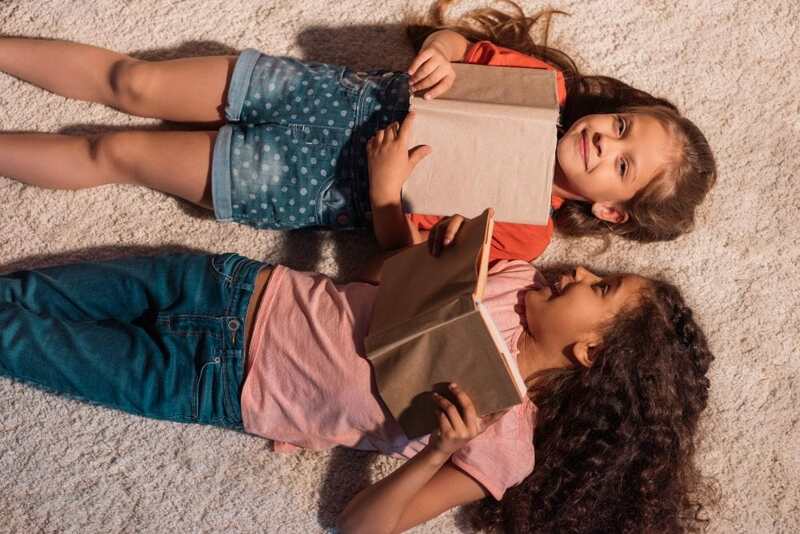 Is your 9-year-old girl a Harry Potter fan? Does she wish she was Hermione Granger so she could cast spells with a wand? Well here’s her chance. She can build her own wand and then, using the free Kano app, code it to complete over 70 challenges. She can make pumpkins grow, feathers fly, fire flow, and much more. There are over 200 exclusive sounds, wizarding artifacts, and music effects. 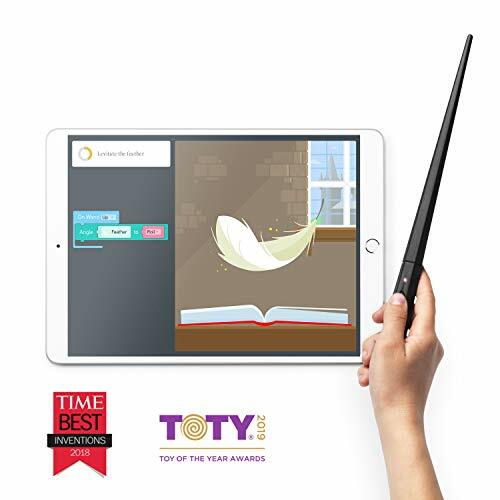 The wand is compatible with Android and iOS devices as well as PCs with Windows 10 and Amazon Kindle Fire tablets (8 HD 2016 models or newer). This New York Times bestselling book set will enthrall and enchant your 9-year-old girl. It includes four books: Dinosaurs Before Dark, Mummies in the Morning, The Knight at Dawn, and Pirates Past Noon. It’s available in paperback, Amazon Kindle, or audio CDs. She can enter the world of Annie and Jack as they have magical adventures in the past, from the tree house in the woods. These books have been firm favorites with kids, teachers, and parents for over 25 years. Girls at 9 years old are curious and absorb facts like sponges. This book, from National Geographic, is one they’ll pick up time and again. It’s full of useful and fun information about all sorts of subjects. 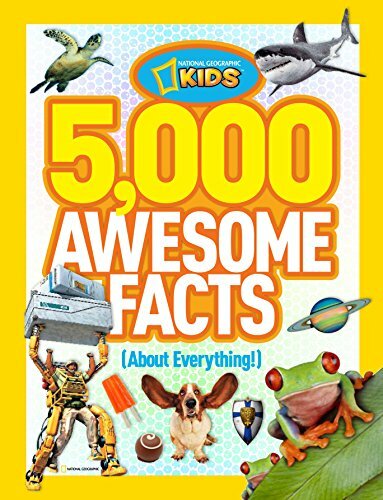 There are mysteries of history, facts about reptiles, sharks, robots, chocolate, peanut butter, and more. Pick up tips on toys and games, or learn wacky words. Friends and family will be amazed at the snippets your girl comes out with. 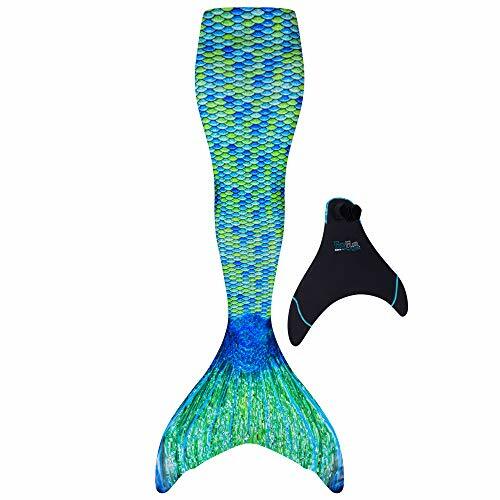 Release your water baby’s inner mermaid with this functional monofin and mermaid tail. It comes in nine different colors and will be great fun at the pool or on the beach. It has a patented monofin which can be removed quickly either in or out of the water. A word of warning, your child must be able to swim to use this. Various sizes are available for a perfect fit. Move over Ariana Grande, the next big star might be on her way. 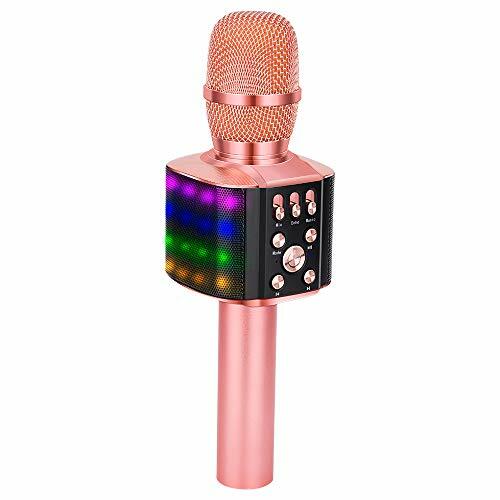 Girls love a microphone and singing so this wireless, Bluetooth one will make her the star of the show. It can connect to any Bluetooth device, including a speaker, to play music. Alternatively, it will play music from a micro-SD card. Let your girls sing along with YouTube videos at their next sleepover. Complete with LED lights — it’s showtime. 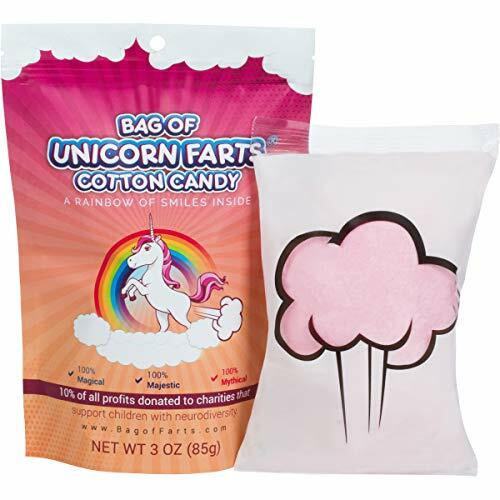 Watch your child’s face light up, go red, and then see them burst out into giggles with this bag of unicorn farts. This fun gift is great to put a smile on any 9-year-old girl’s face. What’s even better is it’s actually a fruit flavored cotton candy that they will enjoy eating. The company has also put some thought into this product, making the contents without high fructose corn syrup, and it’s gluten-free. Is your 9-year-old showing an interest in music? 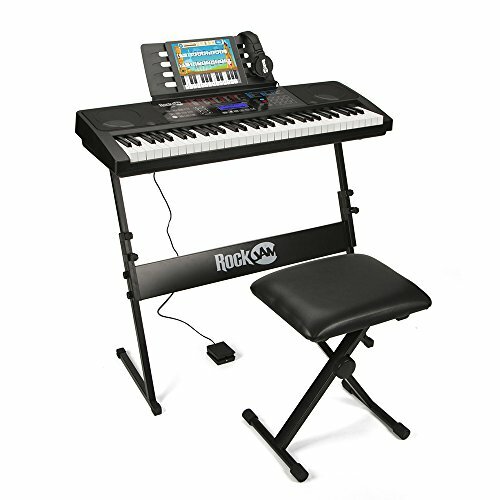 This keyboard, complete with an adjustable stand and stool, could be the ideal gift. It also comes with headphones, so kids can practice whenever they want without disturbing the rest of the house. There’s a free Piano Maestro iPad app that has 30 songs for your child to learn. It listens in real-time and gives feedback. Including a sustain pedal and over 200 tones and rhythms, there are lots of options for compositions. 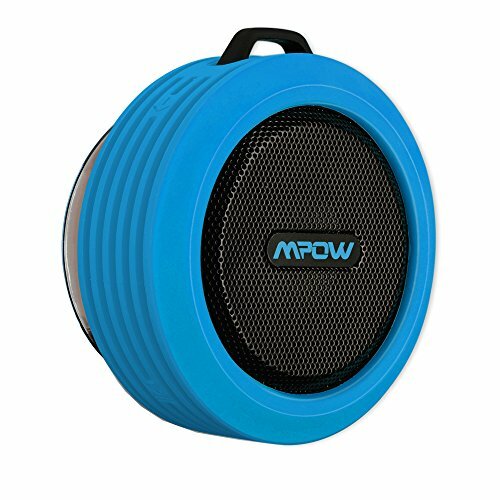 If your little girl likes to go all Taylor Swift in the shower, this speaker will help her do just that. Compatible with any Bluetooth device, the silicone design is rugged, shockproof, dustproof and ready for those acoustic-driven shower melodies. It will play for eight hours on a single charge and has a removable suction cup for attaching to the bath or shower screen. 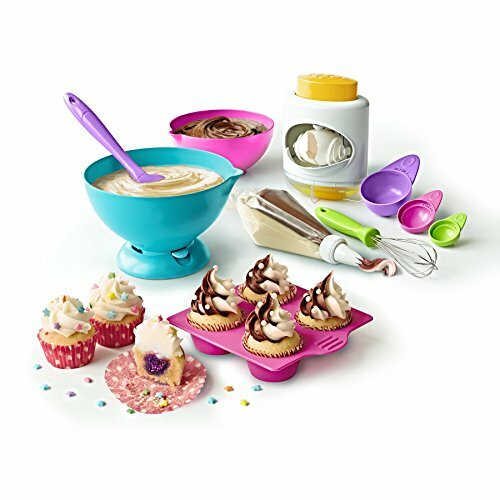 This kit contains everything a girl needs to bake delicious cupcakes. It has non-spill bowls with a suction lock for easy mixing, and an easy, safe, egg cracker. There’s also a non-stick silicone baking tray, which cools fast and cleans easily. I love that all the mixes and frosting are also included, along with sprinkles for decorating. To top it off, the piping bag will help her delicately design those finishing touches. Instructions included. With so many options, choosing a gift for a 9-year-old girl should be a breeze. Nevertheless, making sure you get the right one can be a bit of a headache. Just make sure you find out what they’re into at the moment, and that the gift is age appropriate. 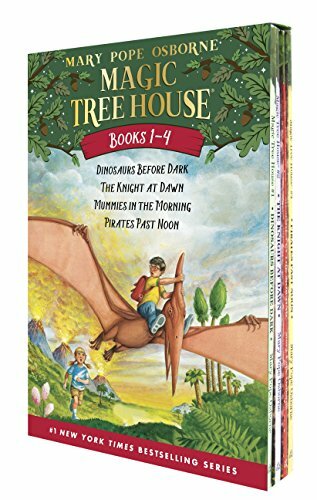 Of all the gifts we’ve listed, my favorite is the Magic Tree House Boxed Set of books. These timeless classics have stood the test of time and enchanted young girls for many years. Whatever gift you choose, you can be assured your 9-year-old girl will be thrilled. 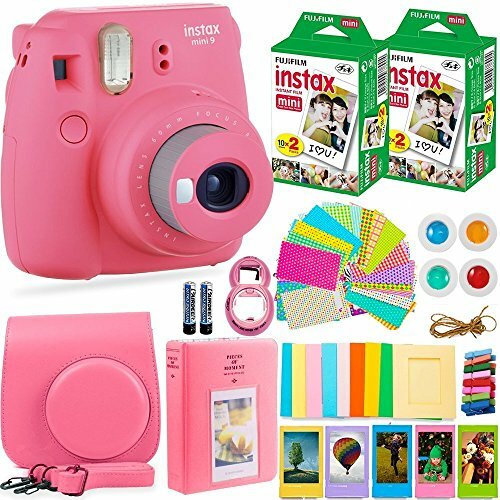 We hope to have made your life easier with our guide to the best gifts for 9-year-old girls. Please leave us a comment below — and don’t forget to share.